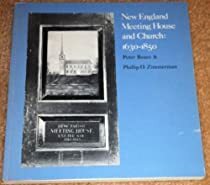 A loan exhibition book depicting and giving a history of meeting houses and churches 1930-1850. Richly illustrated with photographs. 177 pages.